In the not-too-distant future, selected HP devices will be shipped Leap Motion Controller ready. In another major announcement of collaboration, the Kinect-like device will at first be bundled with selected software-ready HP devices, with further plans of integrating its hardware into future HP gadgets. As mentioned by Leap Motion’s CEO Michael Buckwald, the company wants to “fundamentally improve how people interact with their devices, and offer as many ways as possible to achieve that vision.” The USB device allows you to interact with your computer tracking the movements of your hands and all ten fingers with up to 0.01mm accuracy. This innovative motion-control technology is making progress in getting itself out there, and into our hands as soon as possible. The news comes on the back of last month’s announcement that Leap Motion will be compatible with Linux. 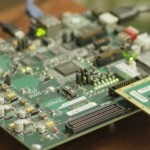 As mentioned in this Gearburn article it has since shown to be a very hacker-friendly device. 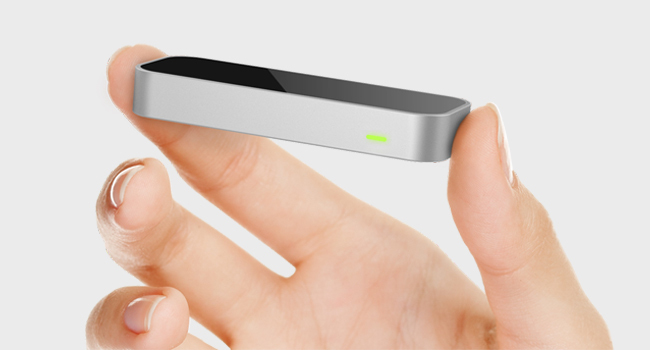 Leap Motion has been making plans to integrate itself outside the niche market. Partnerships such as this show its intention of marketing itself to already-existing, well-established manufacturers. The company wants to establish itself as a commercial product early enough before the novelty wears off. Since its unveiling mid-last year, the motion-control software and hardware company has been going full steam ahead in keeping its production current. The Leap Motion Controllers will start shipping 13 May for US$80. What would pay off the most it seems, will be the inroads the company has been making with big hardware and software companies such as Asus, HP and Linux. Just a few months ago, the announcement came news that certain Asus notebooks and desktops will come bundled with the motion-controller and pre-loaded with Leap’s Appstore, Airspace. I’m sure that this won’t be the last partnership we’ll hear about in the coming year as it’s said that Leap Motion is planning on partnering with a mobile devices and cars manufacturers. Perhaps this is “the next best thing” after touchscreen technology? And maybe we will see next-gen iPads and Android tablets being released equipped with Leap Motion-powered ingenuity. The futures an exciting place.